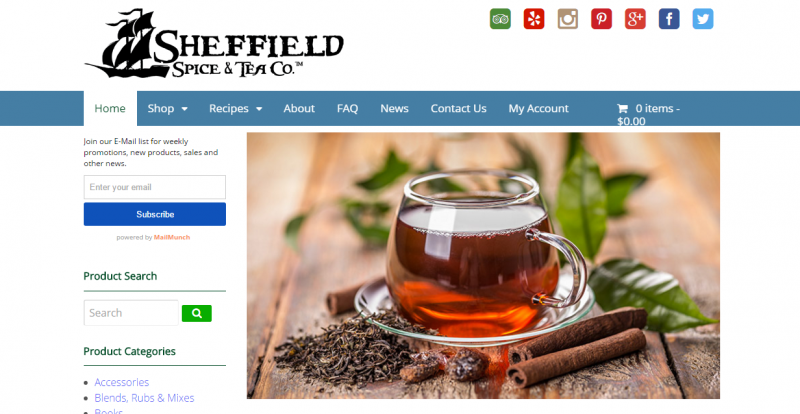 Based in Las Vegas, Nevada, Sheffield Spice & Tea Co. has grown from one store, into a global Internet presence, with followers around the world. With over 3000 unique items and growing, we are always creating new Spice & Tea Blends, and scouring the world markets to bring you a unique mix of standard and exotic items. A premier purveyor of Exotic Spices & Spice Blends, Luxury Teas, Olive Oils & Balsamic Vinegars, Select Specialty Gourmet Foods and all the accessories to make your Spice and Tea experience the finest anywhere.